The Bedford CF was a range of full-size panel vans produced by Bedford. 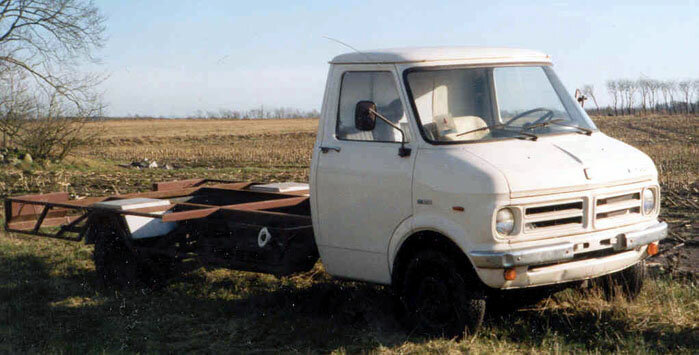 The van was introduced in 1969 to replace the older CA model, and was sized to compete directly with the Ford Transit, which had entered production four years earlier. Its design was similar to its American counterpart, the Chevrolet Van (1971-1995). Vauxhall/Bedford was a General Motors subsidiary, and in some markets outside the United Kingdom and Ireland the CF was sold through Opel dealers as the Opel Bedford Blitz from 1973 on when the original Opel Blitz was phased out. In other markets such as in Norway the CF retained its original name. The CF was notable for being the last solely Vauxhall-engineered vehicle when it was discontinued in 1987 (the last Vauxhall passenger car had been the HC Viva which had ceased production in 1979); since all Vauxhall models by that point had switched to being based on Opel platforms. 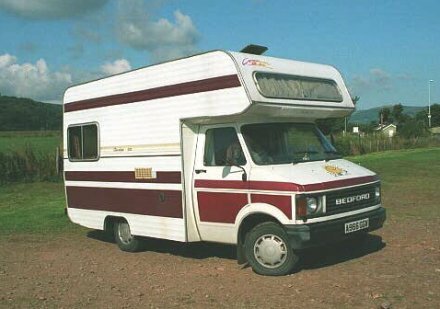 The Bedford brand continued on certain badge engineered light van designs from Isuzu and Suzuki, before being retired in 1991. Introduced November 1969 to replace the 17-year-old Bedford CA, the CF van variants soon became some of the most popular light commercial vehicles on British roads. The CF could be specified with a sliding door in the side panel directly behind the passenger door, and it was generally with this layout that the van was also commonly used as a base vehicle for a caravanette. The engine was the well-proven Slant Four engine which was introduced for the Vauxhall FD Victor models in 1967. Apart from an increased engine capacity from 1.6 l (1,598 cc) to 1.8 l (1,759 cc) units and from 2.0 l (1,975 cc) to 2.3 l (2,279 cc) in 1972, the power units remained unchanged. A four-cylinder 1.8 l (1,760 cc) Perkins diesel engine could be specified for an extra GB£130 (1969), while a larger 2.5 l (2,523 cc) version was used for heavier versions. These units were rated at 50 and 61 PS (37 and 45 kW; 49 and 60 hp) DIN. In 1976, a 2.1 l (2,064 cc) overhead valve (OHV) diesel engine from Opel replaced the outdated Perkins units. In Australasian markets, the CF could be optioned with Holden six-cylinder units, in 2,850 cc (173.9 cu in) and 3,310 cc (202.0 cu in) forms. This was as an answer to the rival Ford Transit range, which in Australia used six-cylinder engines from the Ford Falcon vehicles. The Bedford used the same basic suspension lay-out as the Vauxhall Victor, though married to greater wheel arch clearances and calibrated for greater weight carrying capacity. The front independent suspension featured a double wishbone layout with coil springs and telescopic shock absorbers, while the rear wheels were suspended by a combination involving a live axle and traditional long single-leaf springs. Several different manual transmissions were used, namely the Vauxhall three-speed, four-speed, Bedford four-speed, ZF four-speed, ZF five-speed, and the General Motors automatic. The Laycock type of overdrive was available to order or on the later Vauxhall four-speed models. There were three CF1 body styles. 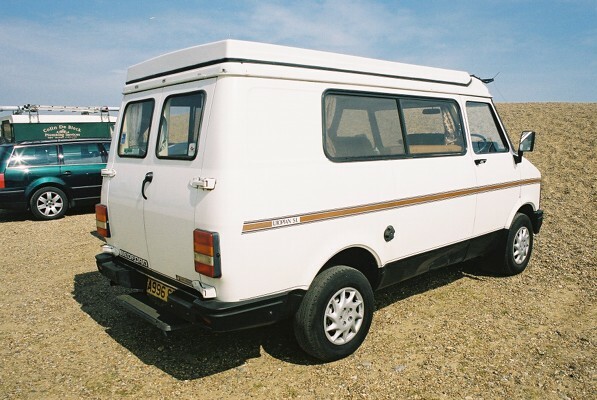 A standard panel van which was intended to rival the Ford Transit; the special van body (essentially a self-contained cab with a general-purpose chassis onto which a wide range of custom-built bodies or beds could be built), and the Dormobile (caravanette). The CF series 1 facelift was introduced in 1980, introducing the 2.3 L (2,260 cc) Opel 23D diesel engine with 61 hp (45.5 kW). Units exported to Germany (Bedford Blitz) received a smaller, 2.0 L (1,998 cc) diesel, producing 60 PS (44 kW; 59 hp). This engine was also installed in many other export markets where tax categories suited engines with less than two litres of displacement, such as the BeNeLux countries and Finland. The 1.8 and 2.3 litre petrol units remained the same. The restyled front end was engineered so that by removing 8 bolts the whole front panel could be completely removed, providing easy access to the engine so it could be removed from the front instead of from underneath like on the CF1. In 1984 the CF was renamed CF2 and basically only received mechanical upgrades. The diesel engines remained the 2.3 (with the 2.0 available in continental Europe) but the old Vauxhall slant fours were replaced by a 2.0 L (1,979 cc), 78 hp (58 kW) version of the Opel CIH four cylinder. 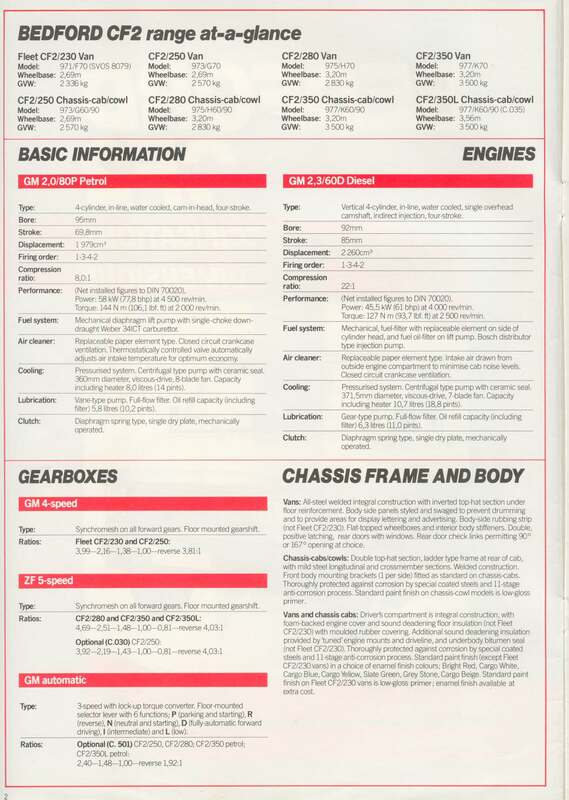 Choice of axle ratios on nearly all models. Load-sensing valve standard on all models. In 1985 the CF2 was sold side by side in UK with the Bedford Midi - a smaller, badge engineered version of the Isuzu Fargo which was locally built at the newly established IBC Vehicles venture with Isuzu. By then the CF's replacement was put on hold and then ultimately dropped when Bedford decided that rebadging other GM owned brands was much cheaper. The last CF2s were sold in the UK in 1987 and marked the end of original Bedford designed vehicles. One noteworthy variant, the CF Electric was introduced in 1982. It was the first mass-produced electrically powered vehicle based on a fossil fuel vehicle platform. It was built in partnership between Bedford, Lucas, Chloride Group and the UK Government on a 5-year grant scheme. The batteries were housed in a compartment below the floor and the traction came from a motor placed at the rear with a step down reduction gearbox coupled to the CF's standard differential, but turned through 180'. The motor control system was housed under the bonnet and a small diesel heater provided cabin heating. The system also featured regenerative braking, however this could be turned off as it was found that in wet conditions the motor could lock the rear wheels up in a similar way as applying the handbrake. Most were sold to government agencies, the Royal Mail and local authorities. However, with a price tag much higher than a standard CF, and battery technology at the time not advancing the government scheme wound down in 1987, and the model was withdrawn and spares for it soon dried up. The Bedford CF van was the second most popular van in the UK, second only to the Ford Transit. Along with the Transit, the CF was usefully wider than competitor vehicles from Austin-Morris, Rootes and Volkswagen. It was also the most common caravanette. CFs were popular with customisers throughout the 1970s and 1980s. The Bedford CF was widely used. The British police, in particular, used them for prisoner transport and as riot vans. Some ambulance services kept them in service for longer than usual after production ended as they were liked by crews. The British Military also had a fleet of CFs. They were used by builders and builders' merchants, as well as by courier services and the Post Office. They were also a popular caravanette due to their space and reasonable fuel consumption. They were used as ice cream vans in Britain. 4390 lb. GVW available for models 97100, 97200 as Code 533. Vauxhall OHC 97.5 cu. in. (1598 cc) and 120.5 cu. in. (1975 cc) gasoline engines available as high or low compression. Perkins 108 cu. in. (1770 cc) and 154 cu. in. (2523 cc) diesel engines. All models available as van (/70), chassis cab (/60) or chassis cowl (/90). E.g. : 97170 18 cwt. van; 97760 35 cwt. chassis cab, 97590 25 cwt. chassis cowl. 107.4 cu. in. (1759 cc) and 139 cu. in. (2279 cc) Vauxhall low compression OHC engines introduced from chassis number 2V610007. 18 cwt. models (97100, 97200) replaced by 14/18 cwt. models. Gasoline engines: only 107.4 cu. in. (1759 cc) and 139 cu. in. (2279 cc) low compression available. GM diesel engines introduced; Perkins diesel engines discontinued. 97F00 SVOS (Special Version Option Scheme) 8294: 1900 cc diesel engine in place of 2064 cc diesel engine. Electric van: Designation 97300 Code 123 (unclear when introduced). 2064 cc (126 cu. in.) GM diesel engine discontinued. 2260 cc (137.9 cu. in.) GM diesel engine introduced from chassis number LY600101. Opel 1979 cc CIH gasoline engine replaced Vauxhall 1759 cc and 2239 cc OHC gasoline engine. ^ a b c d Bulmer, Charles, ed. (8 November 1969). "New Bedford Motor caravans [planned]". The Motor (3516): 48. ^ Howard, Geoffrey (3 June 1971). "Taxi! :Autproject 3 [for the design of a Bedford based taxi)". Autocar. 134. 3923: 10–12. ^ a b "Bedford CF2: Specifications and Dimensions". Luton, UK: Bedford Commercial Vehicles. 1984: 2. B2147/4/84. Retrieved 2 May 2011. 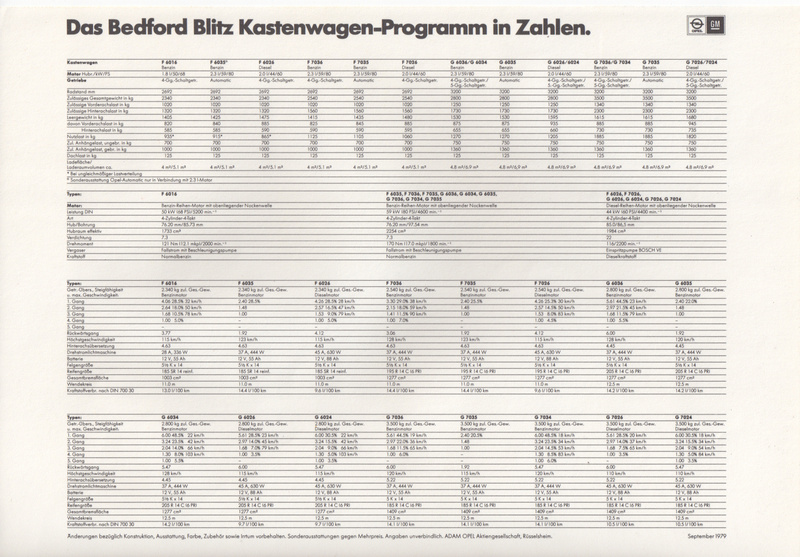 ^ "Bedford Blitz Kastenwagen (catalogue)". Rüsselsheim, Germany: Adam Opel AG. September 1979: 12. 90014 (979/30/1). Retrieved 23 December 2010. ^ Smith, Maurice (19 November 1977). "Can a van ... serve as a ...second car...?....Sherpa, Hi-Ace, VW you ask?". Autocar. 147. 4228: 61–62. These of course have their merits and their extra economy but they also have one or more shortcomings for our intended use. In particular there is a minimum width and internal capacity for transverse beds plus the main items of equipment we require, and these three vehicles fall short. We require a refrigerator and do not wish to cook or wash [dirty dishes] outside the van. ^ Vauxhall Motors TS946 December 1969, TS983/1 February 1970, TS984/1 May 1970. Wikimedia Commons has media related to Bedford CF. Bedford CF Web Site CF UK technical/enthusiasts/members website. This page was last edited on 11 February 2019, at 13:37 (UTC).